Oracle has released a new Node.js driver for Oracle Database on GitHub! This is exciting for the Node community. The interest in Node applications that connect to the widely available Oracle Database is being recognized and rewarded with a driver that has been designed from the ground up for performance, scalability and usability. Releasing source code on GitHub is itself big news for the Oracle Database development community. 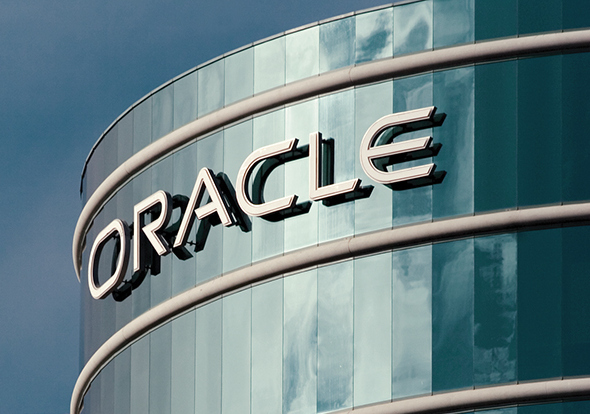 It is part of the shift to making content highly available to Oracle users and lets developers be more efficient at adopting technology and creating new generations of applications. StrongLoop is one player with feet in both Node and Oracle communities. They have supported and given advice on the development of node-oracledb, even though it seemingly competes with their own driver. What node-oracledb actually does is let StrongLoop focus their efforts in making products like the LoopBack framework even more successful. The maintenance of the database access layer can now transition to Oracle, where their expertise is, freeing StrongLoop to add value above it. Database features such as the native JSON data type support introduced in Oracle Database 12.1.0.2 can be used directly with node-oracledb. The node-oracledb driver itself uses Oracle’s C API for performance. This makes it a “thick client” driver requiring Oracle’s client libraries. These are free and easy to install. They allow node-oracledb to take advantage of the significant feature set, engineering, and testing invested in those libraries. Scalable and highly available applications can be built. Many of node-oracledb‘s features are immediately available to an application. For example, statement caching is enabled by default. The feature helps reduce unnecessary processing and network overhead of statement parsing when a statement is re-executed. Instead of requiring node-oracledb to have explicit parse and execute methods, by taking advantage of Oracle’s client library statement caching, the node-oracledb API is simplified. Currently node-oracledb has just three classes, each with a small number of methods. You can create connections from the top level OracleDb object but it is recommended to create a pool first. This is a Node-side pool of connections. There are advantage to applications in having a pool of connections readily available. There are also other advantages because the underlying implementation lets advanced Oracle high availability features be used only by pooled connections. These include Fast Application Notification and Runtime Load Balancing for connections. + "WHERE department_id < 70 "
Database connection strings use standard Oracle syntax. The example shown connects to the XE database service on the local host. Connection identifiers from an Oracle network tnsnames.ora file may also be used. + "WHERE department_id < :id "
Install the small, free Oracle Instant Client libraries or have a local database such as the free Oracle XE Database release. On Linux you can simply install the Instant Client RPMs and run ldconfig to add the libraries to the run-time link path. Clone the node-oracledb repository or download the ZIP file. The repo’s INSTALL file has details and steps for several configurations. Oracle is actively working to bring node-oracledb to a 1.0 release soon. We are beginning to fill in basic feature support. Things on the “todo” include LOBs, being on npmjs.com, and building on Windows. Like every development team, we also have longer term plans and dreams. However these will depend on the adoption of the driver and the direction users want it to go in. We had a lot of interesting development discussions about the intricacies of how, for example, connection pooling and date handling should work. We are actively soliciting feedback on node-oracledb so we can make it work for you. Raise issues on GitHub or post feedback and questions at our Oracle Technology Network forum. Node-oracledb has an Apache 2.0 license. Contributions can be made by developers under the Oracle Contributor Agreement.